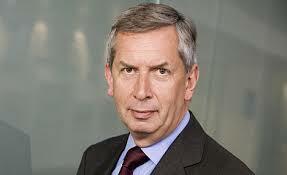 We begin today’s Weekly Roundup in the FT, where Terry Smith was comparing AstraZeneca with Tesco. You may remember that Terry explained the reasons behind Tesco’s collapse a couple of years ago. 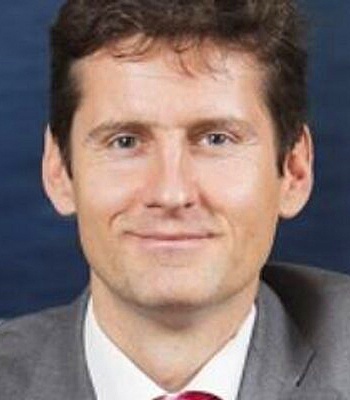 Now he fears that AstraZeneca may be heading in the same direction. He started talking about AstraZeneca (AZN) a couple of years ago (here). So of course, “core earning” went up. 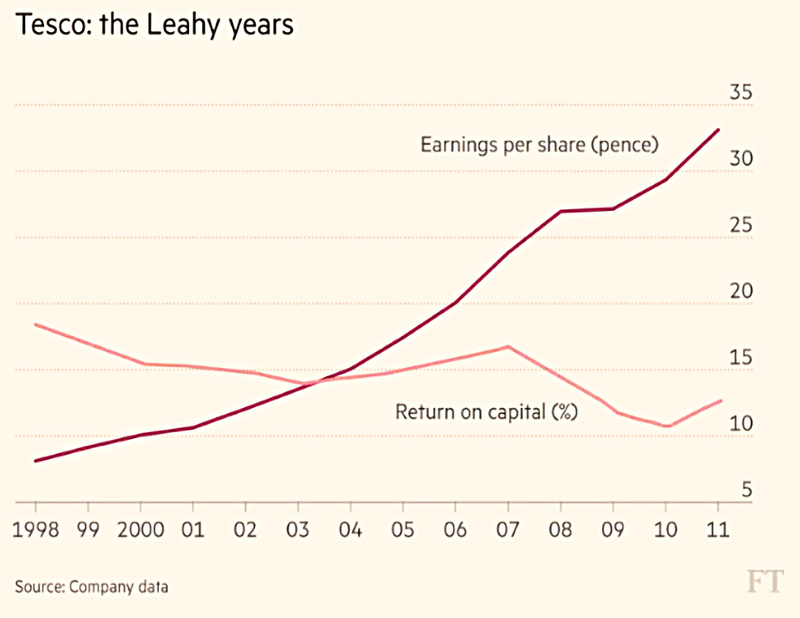 Tesco made eight changes to the return on capital definition between 1998 and 2011. Terry talked about this here. Terry’s favourite measure of financial success is return on capital, and here AZN is suffering. AZN’s invested capital has increased by 144% since 2006, hitting ROCE. “Core EPS” is up just 10% over the same period. Terry had previously contrasted Tesco’s increasing EPS with its falling ROCE. 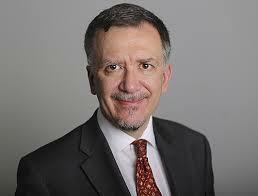 This week he looked at AZN’s 2007 acquisition of MedImmune for an “extraordinary” price of $15.6 bn. MedImmune had revenues of just $1.3 bn. But AZN could exclude the restructuring costs and intangibles write-down from their core earnings calculation. Terry doesn’t like pharma companies. He points out that the 5% dividend has only 1.1x cover, and is likely to be cut. Jason Butler was trying to convince us that insurance is vital. Regular readers will know that I’m not a fan of having too much insurance. Jason was pushing life insurance, but that’s not needed by those of us who have reached financial independence. Any dependents or loved ones can be taken care of via a will instead. People less advanced in their accumulation journey may feel that life insurance is worthwhile. 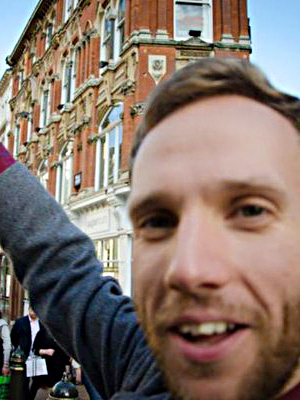 He also bigged up annuities, which I am dead against. They are incredibly poor value under current economic conditions. Reading Jason’s article, you would think that he was on commission. 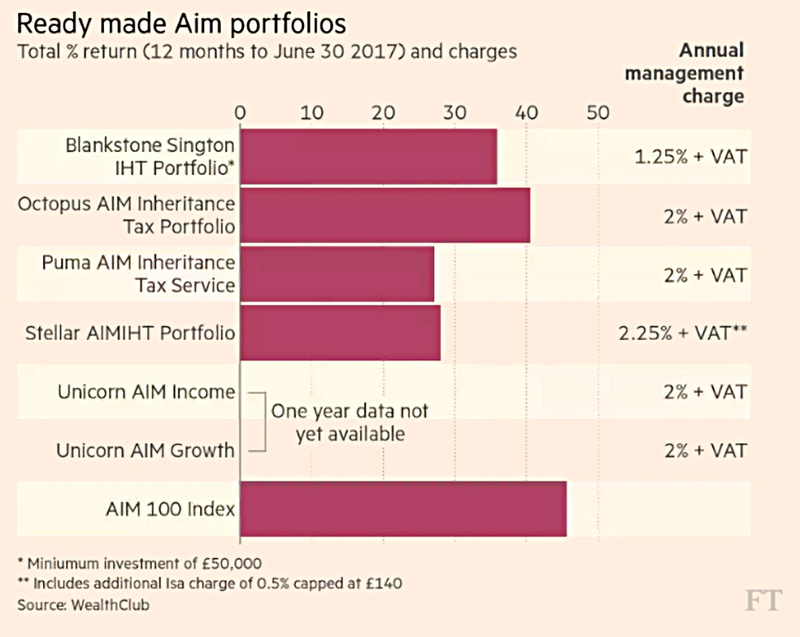 David Stevenson had a feature on AIM portfolios for IHT avoidance. We wrote about these portfolio products quite recently, deciding that they were too expensive. And we have a whole series of articles about the DIY approach to using AIM for IHT. The AIM market has a (justified) bad reputation in aggregate, but that doesn’t mean that there aren’t some good companies on there. And you only need 20 to 50 of them for your IHT portfolio. And so far this year it’s running at 83%. The average market cap hit a record £99M in May 2017 – up 35% in a year. David quotes Wealth Club figures that a third of funds from his clients have gone into the Portfolio products. These have shown good performance recently (as has the AIM 100 index) but as we noted, charges are high. John points out that investors and workers don’t have common interests, and thinks that Amazon can explain a lot. 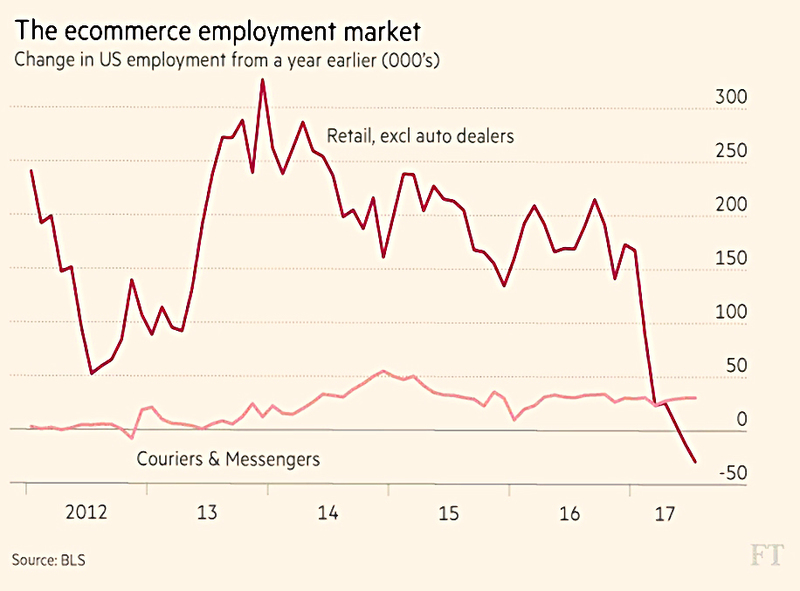 Ecommerce retail jobs have fallen by 33K over the past year, while couriers and messengers jobs have risen by 25K. Ecommerce replaces low-paying jobs with less secure, even lower-paying jobs. 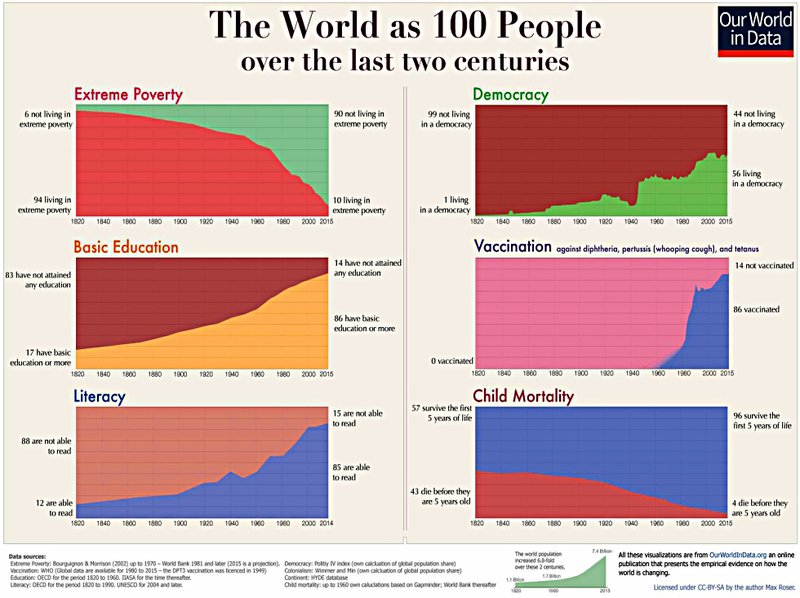 This explains social discontent and rising inequality. Investors love this but everyone else hates it. Jeremy Grantham of GMO suggests that higher profit margins lead to higher price multiples, which lead to stock market records. Since margins generally mean-revert, investors should pay less for stocks when margins (and multiples) are high. But they do the opposite. GMO also found that low inflation was good for multiples, so long as there’s no threat of deflation. Things like high margins and low inflation appear to make investors more comfortable with paying a lot for stocks. So low margins (perhaps through political action) or higher inflation might lead to a stock market correction. But there’s no sign of either at the moment. The Economist had three articles about UK Housing: 1, 2 and 3. 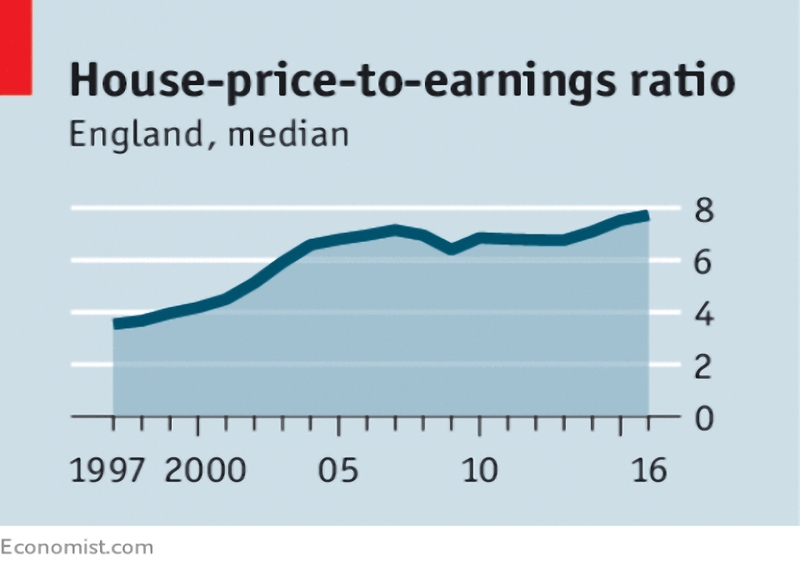 The leader looked at the ratio of house prices to earnings, which hit a record 7.7 in 2016. They want to see more houses, but reject Corbyn’s plans for public housing, which would be expensive. They’d rather see private sector building on the green belt around London. Much of this is intensively farmed, or used for golf courses. 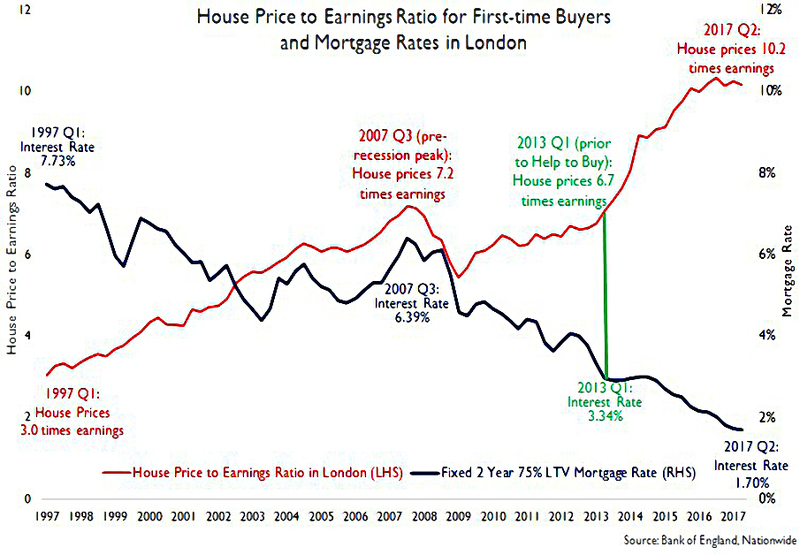 And they want stamp duty to be cut (as do I). Their third wish is for local councils to get the extra tax revenue from developments, as well as having to fund extra services for new houses. 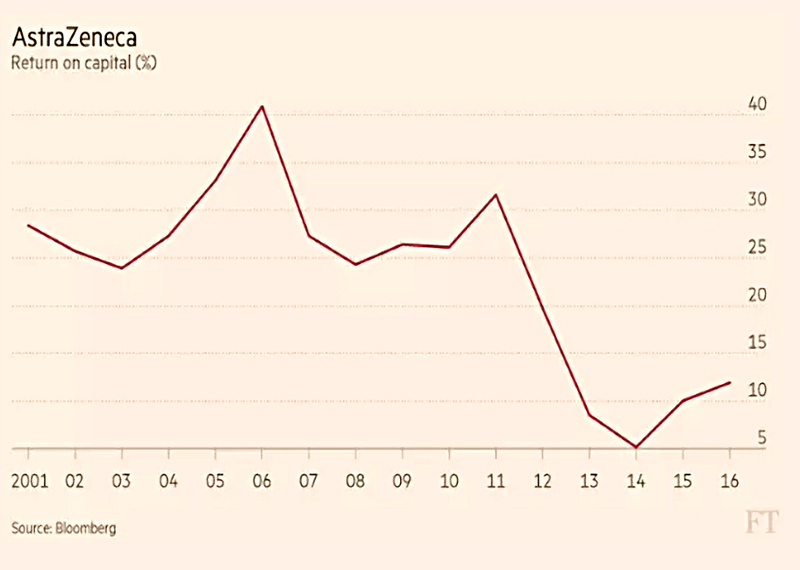 The second article looked at a drop in transactions rates to half those in the US. We now move on average once every 20 years, up from once every 8 years in the late 1980s. I’m part of the “problem” here, having lived in the same house for 22 years so far. None of these look like being fixed in the short-term. The third article was about the recent election results turning some in the Tory party from NIMBYs into YIMBYs (Yes In My BackYards). This is in their interests, since homeowners tend to vote Tory, and renters to vote Labour. The problem is that new housing will upset existing Tories instead. 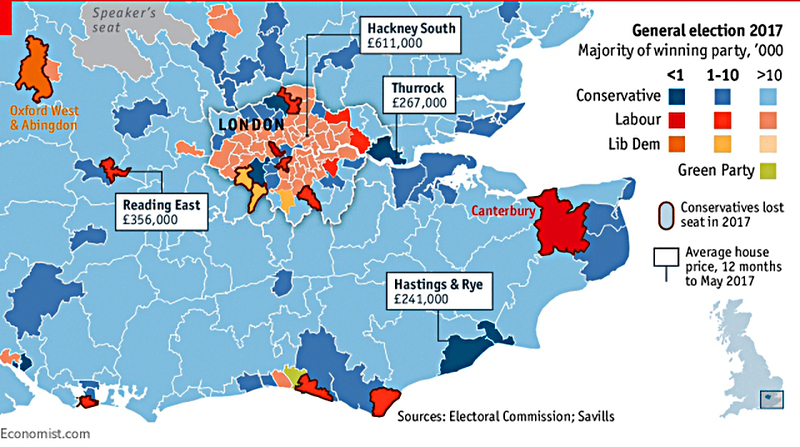 But if London renters move out to the cheaper suburbs, the Tories could lose even more seats. 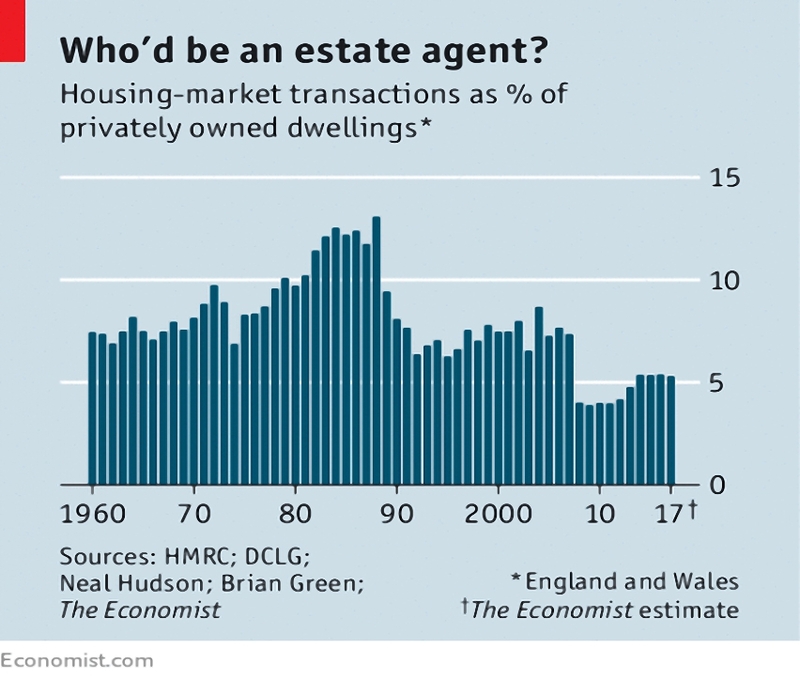 There was lots more on housing outside of the Economist. Property Week reported that Help to Buy could end before its scheduled departure in April 2021. The Department for Communities and Local Government (DCLG) has asked the LSE to carry out an independent evaluation. One of the options is understood to be the introduction of a tapering system before the end of the scheme, with assistance to homebuyers gradually reduced. More stringent criteria for applicants might also be considered – perhaps first-time buyers only, a lower maximum property price, or a lower maximum household income. Housebuilding shares fell in response, and the DCLG pointed out that the scheme was subject to regular reviews, with the last taking place in 2015. 30% of new build completions have used Help to Buy in recent years, but exposure varies widely by firm. 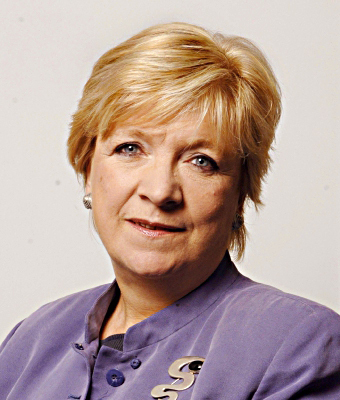 In the Guardian, Polly Toynbee wants to stop people buying property and leaving it empty. Apparently this is a scandal. She wants to raise council tax and add CGT to any future gains on primary residences. My council tax is already far in excess of the services I receive in return. And the biggest part of it goes to fund the pensions of council workers. CGT on primary residences would merely lock up the property market. Given the choice between (i) staying put and (ii) moving but paying CGT and having to buy a cheaper (worse) property, I know what I would do. Stamp duty is bad enough – it would be cheaper for me to convert the loft and dig out the basement that it would be to move. She also wants a surcharge on empty properties, which I think most councils charge already. I wonder how Polly feels about people buying cars and leaving them idle for 90% of the time? Perhaps they should be forced to leave the keys in the ignition so that the carless can borrow them. While we’re on the topic, I have a drum kit that I haven’t used for two years. Perhaps I should be forced to donate it to a needy drummer. On the Shelter blog, John Bibby wanted to focus on the the 10% of homes in Kensington and Chelsea (K&C, now known as the Grenfell borough) that are “empty most of the time“. Less than 2% of properties in the borough are empty all of the time (for at least six months). Most of these are being renovated, or are under probate. The “mostly empty” houses can be estimated from the last census. Only K&C, Westminster and the City of London had more than 10% of “mostly empties”. 26 of London’s 33 boroughs have unoccupied rates lower than the national average (4.3%). K&C and Westminster are also the only boroughs where there are more de-conversions (knock-throughs of smaller properties to form a larger one) than conversions (splits of larger properties into smaller ones). And K&C was the only London borough whose population fell between the 2001 and 2011 censuses. John would like to see carrots like VAT off building materials to speed up renovations. But he agrees that “you can’t force people to spend a particular number of nights in their property” (I wonder what Polly thinks about this). And he doubts that extra council tax would affect most K&C residents. He would like to stop the de-conversions, though. He also wants to build more affordable and social housing in K&C. The poorest (least productive) people shouldn’t be subsidised to live in the most expensive areas of our country. London is the powerhouse of the nation, and we need the most productive people we can get at the heart of it. Any space used for affordable homes in central London could be better used to build houses for people higher up the income ladder, who currently can’t afford to live close to their work. That’s the best thing for the country. Buttonwood looked at a new paper that suggests that fiat money is like equity. Economists don’t like to compare a country’s finances with those of a family, since they tend to believe that a country doesn’t have to live within its means. So the new paper compares them to a company balance sheet instead. If the company issues shares to new investors at less than their value, existing investors will be diluted. Similarly when a nation issues more money to new holders while adding less real output than the purchasing power of money, then existing holders of money are also diluted (say the paper’s authors). Buttonwood refers to Modigliani-Miller, which says that the value of the company is not affected by how it is financed. Issuing more bonds will make existing shares more risky and they will fall in price – the enterprise value should not change. In practice, the favourable tax treatment of debt interest and the cost of bankruptcy means this is not the case. 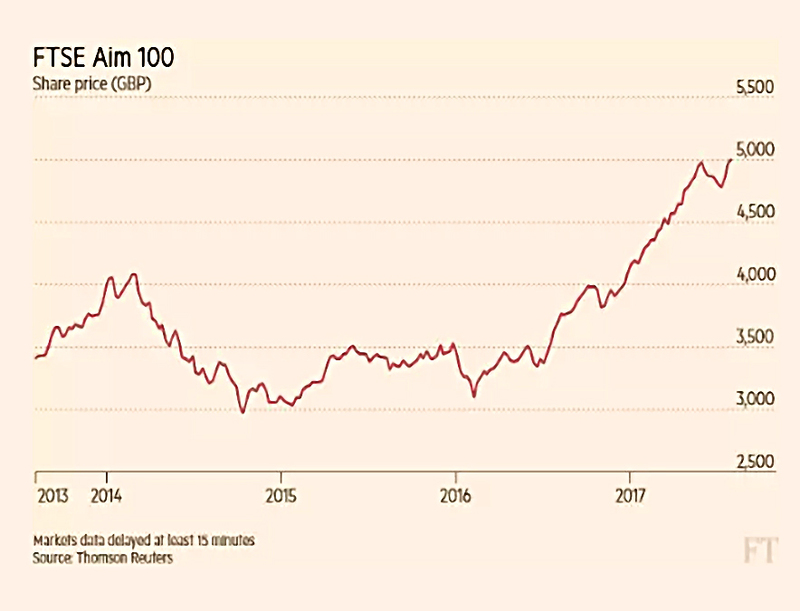 It should not matter whether investment to improve productive capability is funded from new bonds (effectively borrowing foreign currency) or by issuing new domestic currency. If the money was shared equally amongst each citizen, the effect would be like a stock split – the value of one share falls, but the value of each investor’s holding remains the same. But new money is normally used to buy financial or real assets. So there will be winners and losers. There is also a side effect of inflation. On the other hand, too much government debt can lead to default, or the fear of default amongst investors. The inability of QE to produce inflation has led to the idea that it can support limitless debt. But in the end the markets will lose confidence and no-one will want the money. The Economist also covered the biggest ever UK pension fund deficit, from the main universities’ fund. The deficit has risen from £9 bn to £17.5 bn in a year, and now represents half the annual income of all Britain’s higher education establishments. The scheme has 400K members. The scheme has been slow to cut payouts and replace DB pensions with DC models. Such measures are now more likely, but will be difficult to get past the unions. Alternative options include less money for research or teaching. Or they could always increase tuition fees. The newspaper also covered the split of Bitcoin into Bitcoin (BTC) and Bitcoin Cash (BCH), only a week after they reported that a truce had been reached. Within 25 hours of the split, BCH was trading at $460 and there was $7.6 bn of the crypto currency in circulation. BTC was at $2,700 and worth $45 bn. The fork was an attempt to increase transaction volumes. 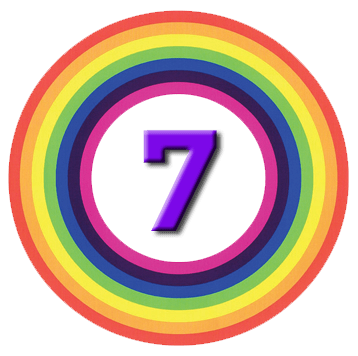 BTC can handle only 7 per second, but BCH has a blocksize 8 times larger and should be able to handle 56. This remains well short of Visa’s 5,000. BTC is backed by the Chinese “miners” of cryptocurrencies. The Economist expects a further split when BTC itself has its blocksize upgraded in November. In the letters section, Alan Kirkman from EHESS in Paris wrote that Macron plans to re-introduce the journeé de carence, whereby the first day sick is without pay for civil servants. Sounds like a good idea to me, and one we could do with on this side of the channel. The first two are on housing, which is clearly in the zeitgeist this week. This one neatly shows the relationship between the (un-)affordability of housing and the level or mortgage interest rates. 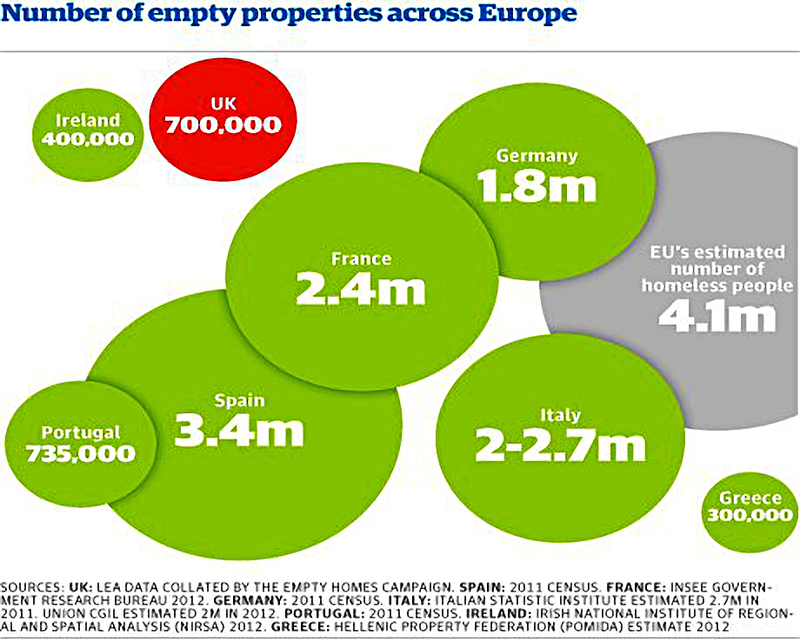 This one shows that the UK doesn’t really have that many empty properties. 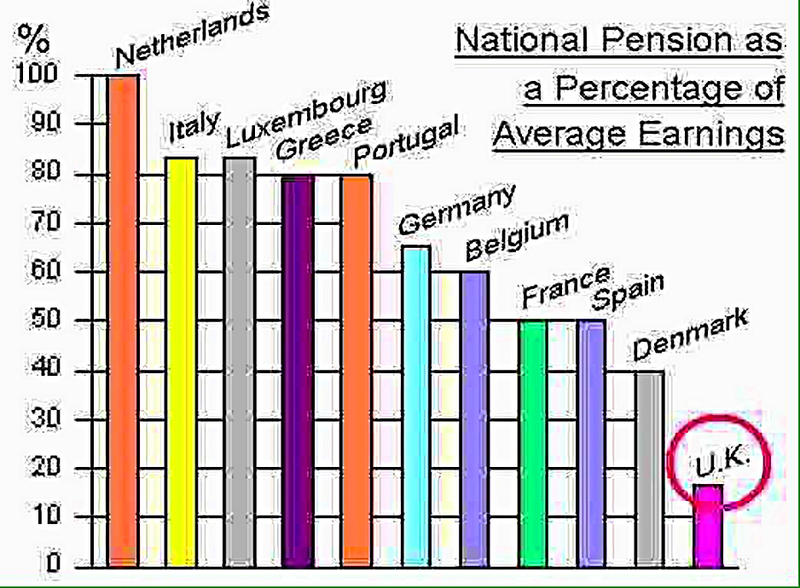 This one confirms that the UK state pension really isn’t that generous. 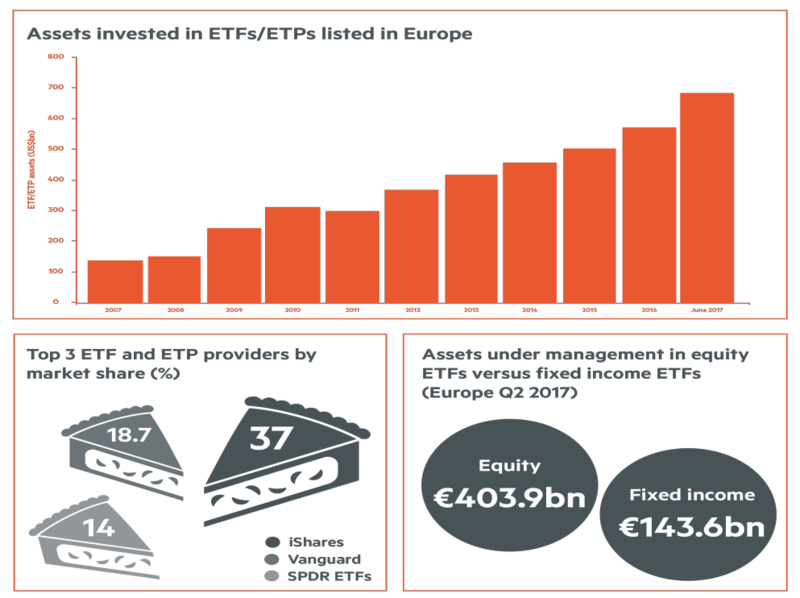 This one – from the FT – shows the rise of ETFs and ETPs in Europe. And to end on an upbeat note, this one shows the progress that humans have made over the past two centuries. 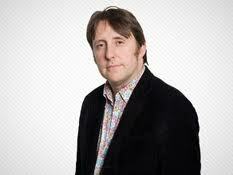 Mike- on the issue of sick pay, I doubt if there is such a need for Macron’s idea this side of the channel. The level of sick absence amongst both the public and private sector in the UK is at the lowest since modern records began (25 years or so), whilst those in France are well over 17% – in the UK it is just over 2%! Much has changed in recent years in the UK -sickness levels in the public sector for example is 50% lower than 10 years ago and is not really seen as a significant factor . Whatever the rate, I suspect it would be a lot lower if the first day wasn’t paid. I was a freelancer (paid by the day) for many years and I never took a day off. But as an ex GP I would argue what do you do if you are not paid for the first day, are ill and cannot afford to lose that money? It would probably lead to issues that the likes of Boots and other companies have encountered (you don’t get paid for the first 3 days with them) where people who are ill come to work because they cannot afford to lose the money. The outcome is the danger of passing their infection to others -which helps nobody, apart from making more of the workforce sicker. In my experience, good working conditions which includes full sick pay from day 1 is more likely to lead to a healthier and more engaged group of employees.